A large portion of our business has been remodeling kitchens and making them something that will better suit your needs. When most people think about their kitchen there is always something they would like to change or rearrange about it to better fit their life style or needs. We are there to help with any type of kitchen project you can think of, from simply changing a cabinet or faucet to a complete remodel. JC Builders has the experience and knowledge to help you take your dream and make it a reality. JC Builders Inc will always treat our customers with the highest levels of professionalism. 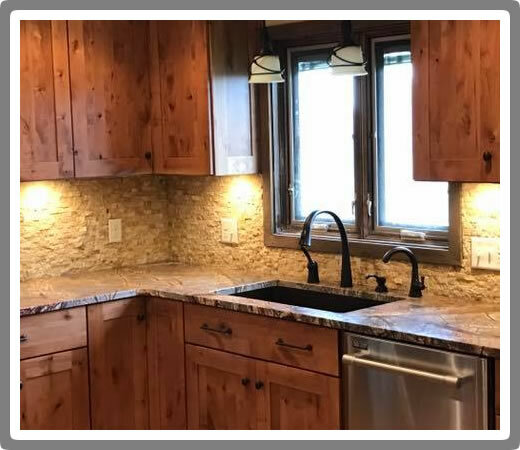 In keeping with our commitment to total client satisfaction, we approach every kitchen remodeling project with the quality and care that has earned us our outstanding reputation throughout Janesville and the surrounding areas.